● An Ambassador since November, 1996. ● Guyana’s Ambassador Extraordinary and Plenipotentiary to the People’s Republic of China in 2016. ● Ambassador Extraordinary and Plenipotentiary of Guyana to the United States of America and Permanent Representative to the Organization of American States (OAS) from 2003 to 2016. ● Guyana’s Ambassador to Venezuela (1997-2003) and has been concurrently accredited to Chile, Colombia, Ecuador, Mexico, Panama and Costa Rica. ● Chairman and Vice Chairman of the Permanent Council of the OAS and Chairman of the OAS Committee on Hemispheric Security. 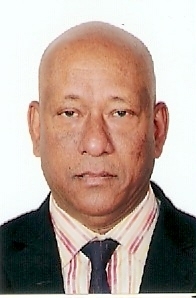 ● Head of Guyana’s delegation or senior delegate to summits and ministerial meetings of the United Nations General Assembly, the Summits of the Americas, the Community of Latin American and Caribbean States (CELAC), the Union of South American Nations (UNASUR), the Group of Rio, the Caribbean Community (CARICOM) and the Amazon Cooperation Treaty Organization (ACTO). ● Guyana’s Alternate Governor at the Inter-American Development Bank and World Bank/IMF conferences. Prior to his diplomatic appointments, Ambassador Karran practiced as an Attorney-at-Law from 1984 to 1996. In addition, he worked for several years as a radio broadcaster and Chairman of the board of Directors of the Guyana Broadcasting Corporation. He is a founder and Director of the Guyana Legal Aid Clinic, a non-profit organization which provides free legal services to the needy. He has also served as a member of the Board of Governors of the University of Guyana and as Vice President of the Young Americas Business Trust. He has served on a number of other Boards and Committees in the fields of legal affairs and broadcasting. In 2003 Ambassador Karran was awarded the Order of the Liberator in the First Class by the Government of the Bolivarian Republic of Venezuela. In 2016 he was awarded the Cacique Crown of Honour by the Government of Guyana.